This Album was recorded in the tradition of the Gypsy Jazz Sound, with a full set of Original Music, singing and written by Vincent Raffard the band leader of the FHC. After 3 years of work around Florida, France, Argentina, the band leader created a set of original songs with the same musicians as the previous album "The Hot Club of Miami". "Story d'amour" (Love Story) is a creation of songs from a Love story during the last 3 years before the release, from relationship to society with a touch of nostalgic songs. This album will make you feel "Like traveling in Time". 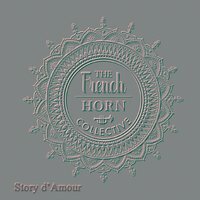 The French Horn collective is a French Gypsy Jazz band led by the charismatic Parisian trumpet player, Vincent Raffard. His deeply nostalgic voice will take you to the romantic Paris and will make you swing with the catchy rhythms of his talented musicians. The band plays a mix of French Jazz, traditional Gypsy Jazz, French songs, American standards and original music as well. With their own arrangements, they create a specific color, very recognizable that makes their originality, while keeping the tradition of the old school jazz, “a vintage sound with a modern twist”. The influences comes from Vincent Raffard’s French origins and the connections he has with multicultural musicians coming from Latin America, Europe and US, which gives a special touch with colorful arrangements. The choice of the instruments (Trumpet/clarinet/cajon/guitar/upright bass/violin) is the perfect combination of “a big sound without the big band”.